Medical research has indicated that eating bananas may be actually much more beneficial than eating Apples. This fruit has excellent nutritional properties and its daily intake benefits our bodies in more ways than one. It helps in healing and reduces the risk of a number of ailments. Compared to an apple, Banana has four times more protein, three times the phosphorus, five times the vitamin A and iron, twice the carbohydrate, and double the other vitamins and minerals. In terms of cost, Banana is far cheaper than apples. Bananas are rich in potassium which is essential to keep the heart and nervous system in good shape. Potassium is required for proper muscle contraction and therefore plays an essential role in muscle-influenced activities. These include the normal rhythmic pumping of the heart, muscular movements and even simple things like the process of digestion. Making banana part of your everyday diet will ensure that you get the minimum recommended dose of potassium. High potassium content in banana benefits the kidneys and the bones too. Consuming the normally recommended daily dose of potassium is very useful in suppressing calcium excretion in the urine and minimizes the risk of kidney stones. Minimizing the loss of calcium from the body in turn automatically reduces the risk of osteoporosis also. Banana contains one of the highest sources of naturally available vitamin B₆. Vitamin B₆ plays an important role in converting tryptophan to serotonin. It also helps in the formation of hemoglobin - a critical ingredient in our blood. Vitamin B₆ is also required for antibody production and to maintain a healthy immune response. It helps in converting carbohydrates to glucose and thereby ensures that ideal blood sugar levels are maintained in the body at all times. One banana a day is capable of meeting 1/5th of our daily recommended intake of vitamin B₆. Banana is considered to be a complete food for kids and can be given from a young age itself. Its texture and taste make it easy for children to consume it without much difficulty. In fact, it is considered to be useful even for children recovering from certain gastrointestinal problems like diarrhea. 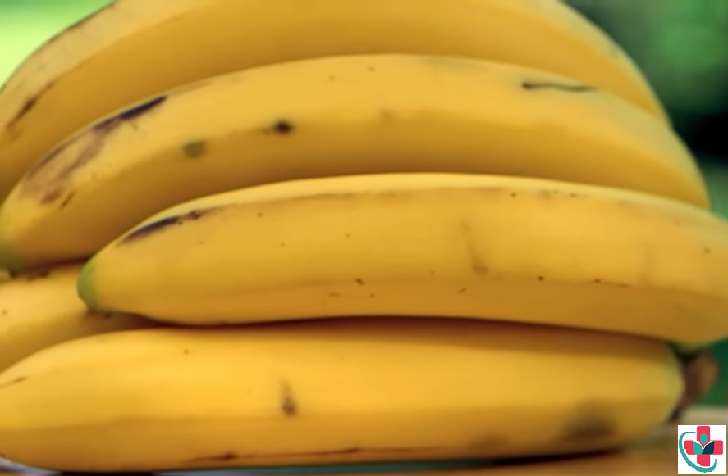 SEE: Why you should include bananas in your child’s diet. One medium sized banana contains approximately 16% of the daily recommended dietary fiber required by a normal adult. Fiber intake is essential to improve bowel movements, lower risk of coronary heart disease and of type 2 diabetes.